OLD PARKED CARS. 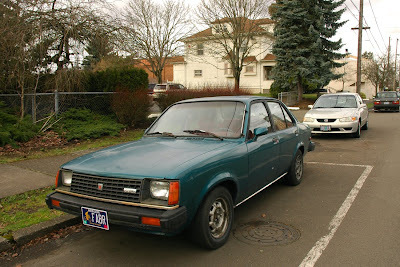 : 1982 Isuzu I-Mark Diesel. Previously enjoyed under that awesome carport: this Isuzu sibling, and my favorite microvan ever. But where are they now? Love the mismatched wheels. Nice paintjob too. I would love to own one of the early 2dr I-Mark fastback coupes. I always enjoy seeing these early i-marks. I live in the Midwest and Isuzu was not yet importing this far until after this generation i-mark was replaced. wow, another surviving i-mark--what are the odds? notice that this one has the little vented c-pillar panels intact, and then click the i-mark tag to see the magic hiding place concealed behind. Seems like the west coast got a lot of these early 80s Isuzus (and those badged as GMs). This one probably had a paint job in the early to mid 1990s due to the teal green that was so popular then. And it probably got those aluminum wheels then, but someone must have damaged the front one, and it was cheaper and easier to replace with a random steel wheel. Nice to see people appreciating these cars. 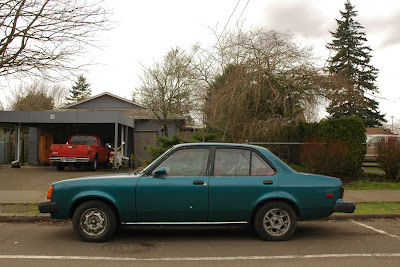 I love all cars from this era, but many people seem to only take interest in domestic cars from anything in the 1980s or older. The non-stock paint job was done about 5 years ago, the aluminum wheels are a stock option and i still have the other two (but they currently have studded tires on them). 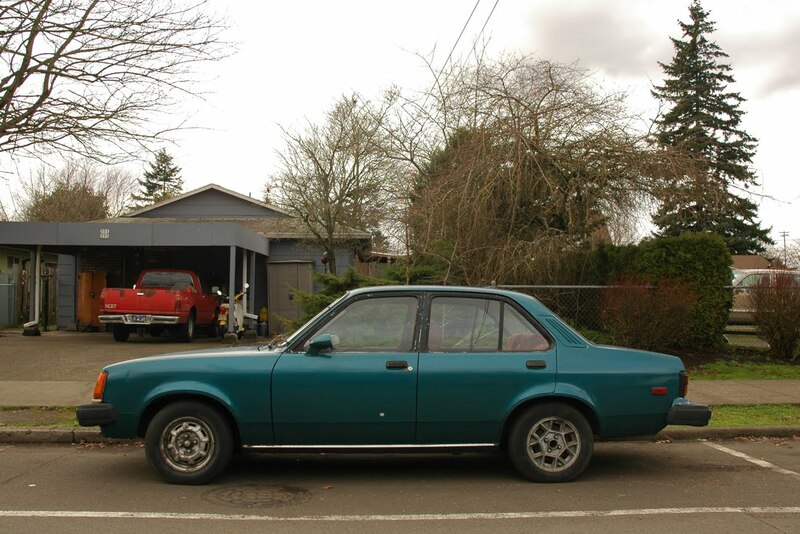 The new paint job was partially because of an accident, according to the previous owner (a nice old dude in seattle)... but the front passenger side quarter panel and hood were the only parts damaged. 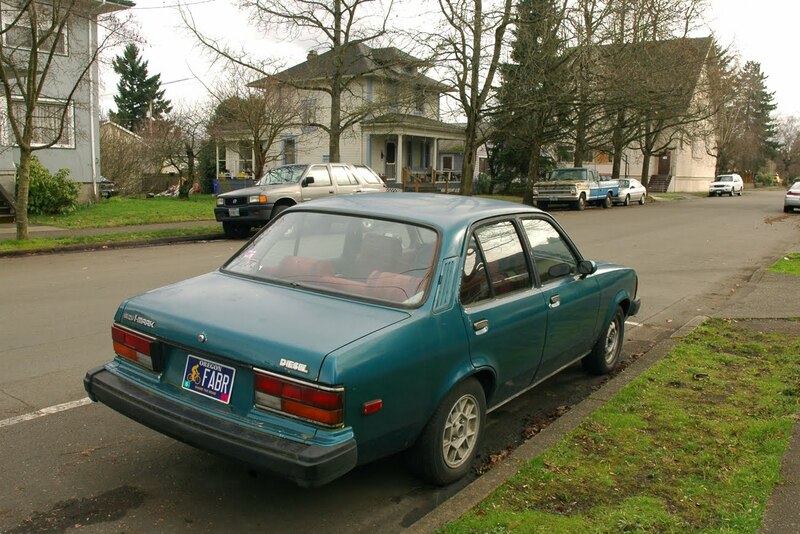 also, my white 1981 imark and green 1969 subaru 360 from the previous OPC post are both still alive and well... when you caught this pic of my new imark, i was in the process of moving in to the new house i bought (only a few blocks away from where these pics were taken), so the subaru 360 and white imark were over in my new two car garage. so i guess you know why i needed a big garage! thanks again for the kind words and interest! love it,best car ever made i dont need to say anymore because the proof is in the pudding!! I just saw this car being parted out on ebay due to a head on collision. I'm sorry about your loss:( I'm trying to get a few interior parts from it through the salvage yard. Would you happen to know if the carpet is in good condition? I'm also hoping to get the center console and a rear seat belt.